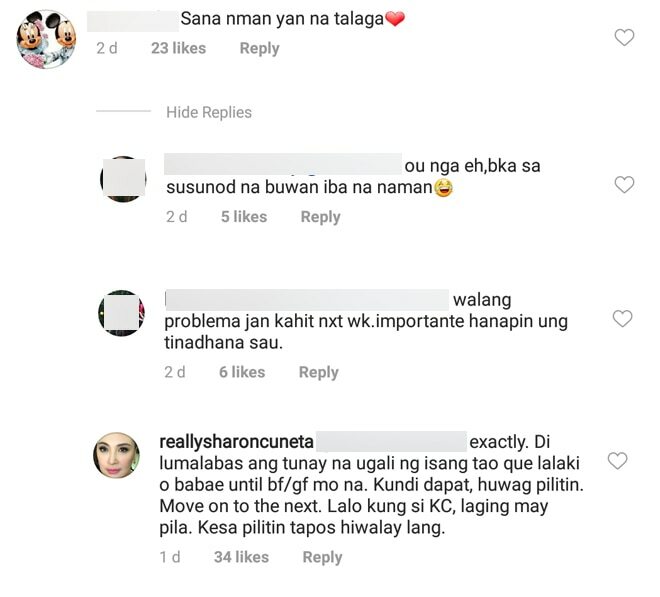 Sharon Cuneta responded to a netizen who was doubtful about KC Concepcion's present relationship. 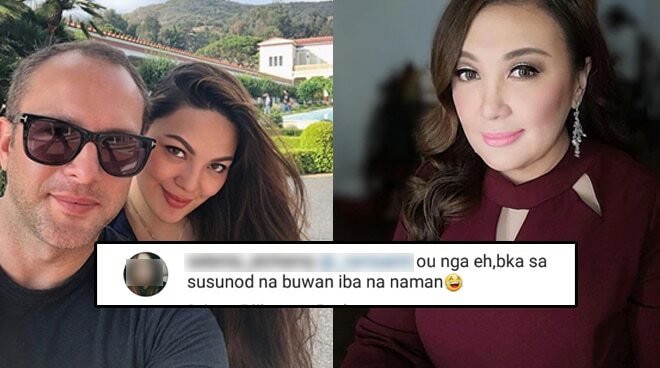 The Megastar posted a snapshot of KC and her new boyfriend Pierre Emmanuel Plassart on Instagram when a netizen commented, "Baka sa susunod na buwan iba na naman." In response, Sharon wrote, "Di lumalabas ang tunay na ugali ng isang tao que lalaki o babae until bf/gf mo na. Kung dapat, huwag pilitin. Move on to the next. Lalo kung si KC, laging may pila. Kesa pilitin tapos hiwalay lang." KC introduced her new boyfriend on Instagram on August 18. KC had a brief romance with Pierre Emmanuel in 2013 but the actress was not ready for a serious relationship during that time. He even bought bought a star and named it after her in 2012. In a recent interview with the actress, KC remarked that she very inspired by her special someone. “Yes I’m inspired, non-showbiz siya and mahal siya ng pamilya ko, and I think nagkaka-sundo kami ng pamilya niya,” she stated.